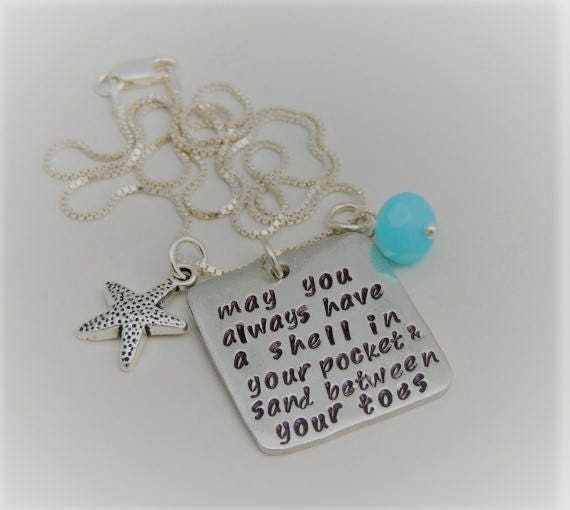 This necklace features a square pewter pendant with the saying, "may you always have a shell in your pocket & sand between your toes" hand stamped across the pendant. 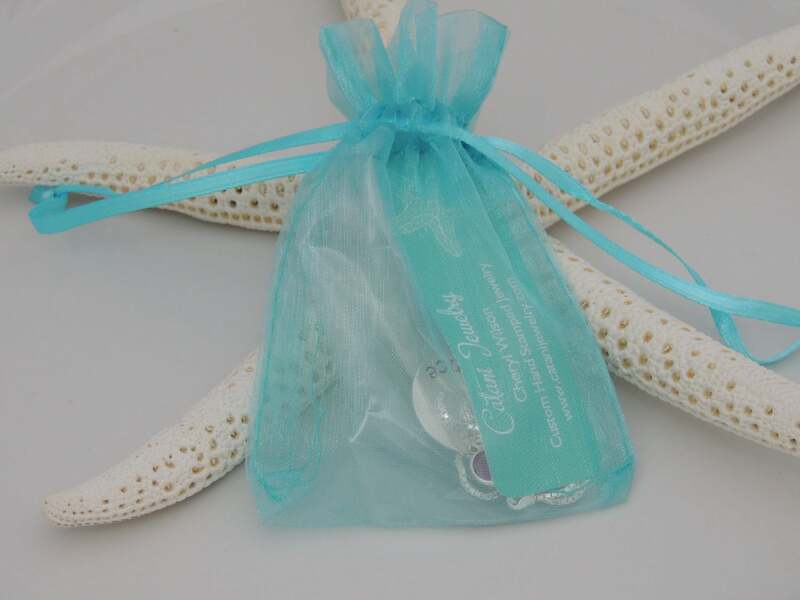 It also includes a pewter starfish charm and your choice of a blue faceted glass drop or sea glass drop. 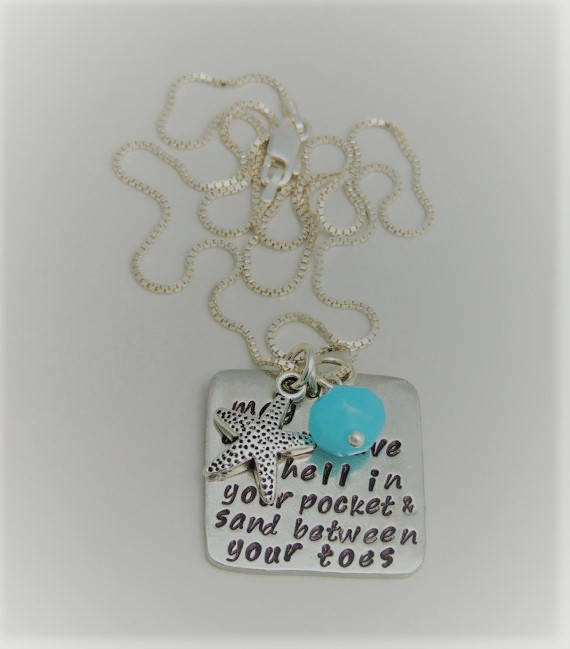 The necklace is finished with a beautiful box chain in your choice of stainless steel or sterling silver. 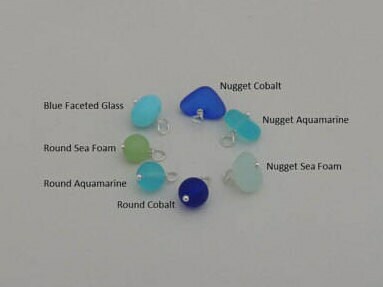 *The pictures show the necklace with the sterling silver box chain. Absolutely Perfect!! Thank you so much! !